Make a scale model of the solar system stretching 300m across and beyond the school grounds, starting with a 10cm-diamter sun. 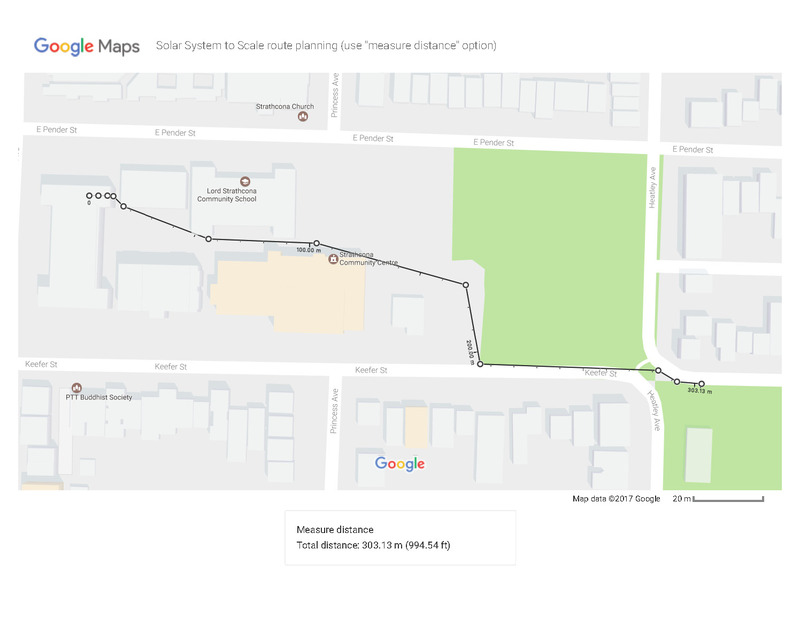 Before the class, map a route that extends from the classroom to 300m away, using streets that keep the route on a straight line as possible. 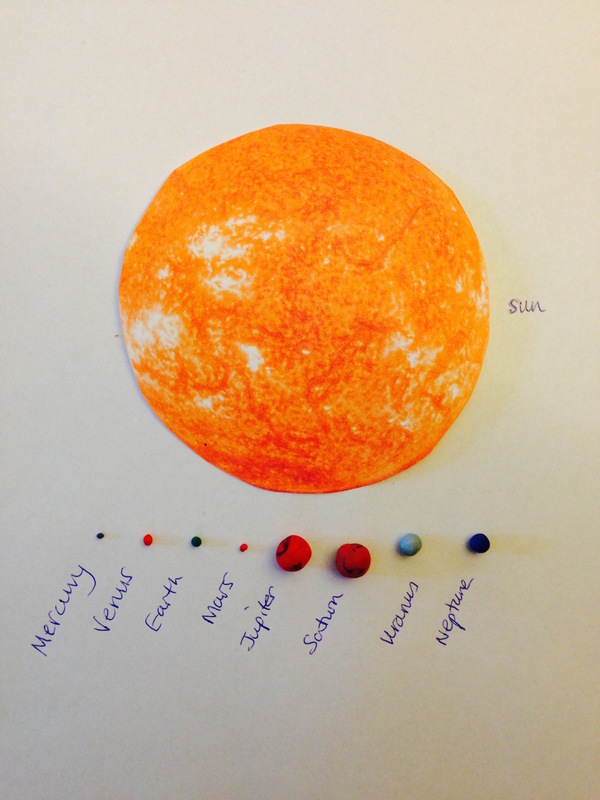 Inform students that we will make a 1:10,000,000,000 scale model of the solar system. Discuss what a scale model is if necessary. Together with the students, write up the planets in order. Stick the sun image to the board, and ask students that if the sun in our model has a 10cm diameter, what's their guess on how large would the other planets be? Add the scaled dimension of each planet to the list, while discussing relative sizes of the planets. Either give them a sheet showing the planets' colours, or list the planets' colours from students' knowledge. Then distribute the modelling clay colours that the students need to make their scaled planet. If they use a couple of colours, the larger planets can have a swirly pattern that mimics the planet's appearance. Once their planets are made, discuss and fill in the scaled distance from the sun to each planet. Ask students to fold their planet into a piece of scrap paper (so that they don't get lost) and to write their distance on the outside of the paper. Using the metre stick or tape measure, have the students calibrate their pace to a metre. Group by group, the students pace from the sun and out to each planet in turn, pacing out the metres. The rest of the class follows the planet that is being placed. After only one or a couple of inner planets, the scale model will leave the classroom and head outdoors. The outer planets will be off the school grounds into a park or street beyond. Once at the final planet, pause to reflect on how far the group has walked, how tiny the planets are on the way, and that between them is empty space. 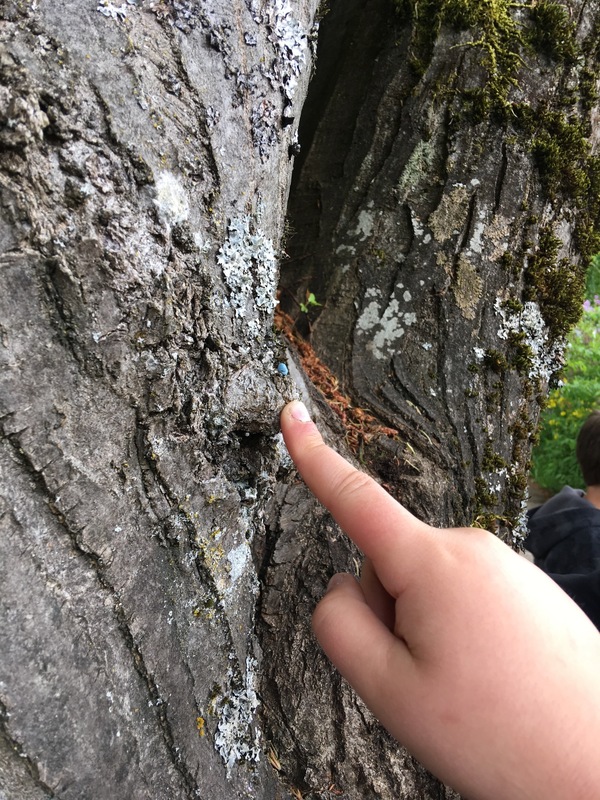 Walking back along the route, and finding the tiny planets along the way reinforces how large the solar system is and how small the planets are in it. 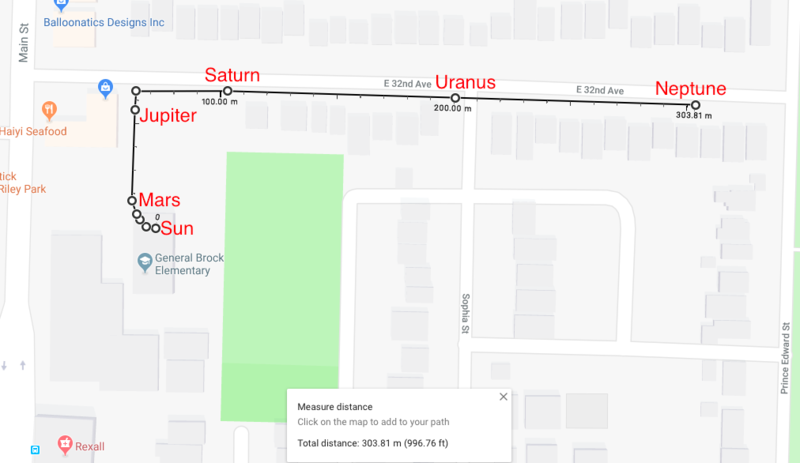 At Strathcona Elementary, we placed up to Mars in the classroom, up to Uranus East across the school grounds, and Neptune in MacLean Park. 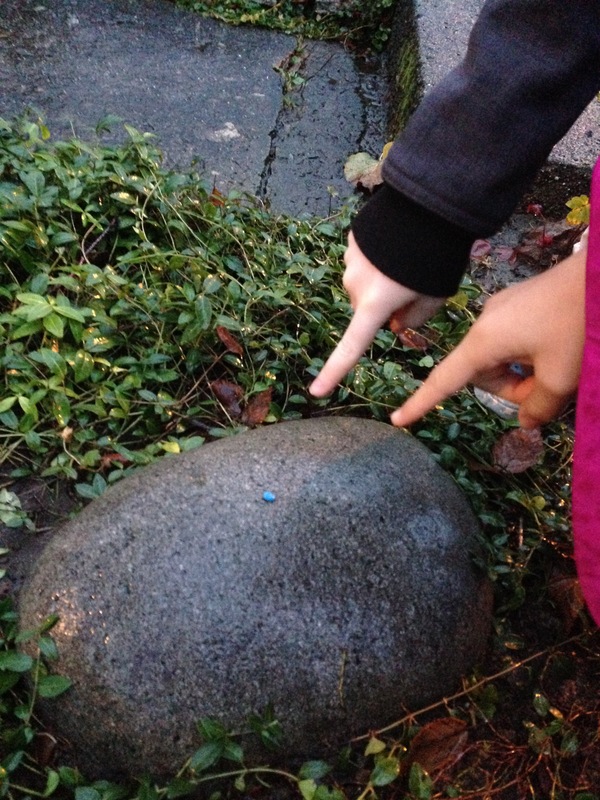 At Tyee, we placed only the first one or two planets in the classroom, before heading outside towards Clark Park.